Fine New England Chutney, a fruit condiment made in the upper Merrimack River Valley of New Hampshire in Bow. 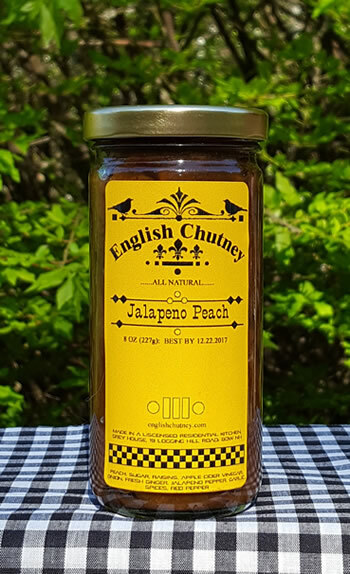 Our Chutney is excellent with meat or fish superbly flavored with such spices as cinnamon, clove, nutmeg, ginger, and cumin, along with apple cider vinegar and brown sugar and carefully simmered for the blending of flavors. It is also served with a good strong cheddar cheese and bread. We also make the "Great American Hermit" bars, "A New England Tradition." Chutney House products can be purchased through our website chutneyhouse.com. Special prices are available for wholesalers.